Erin Rigsby is a missionary in Nigeria, Africa. 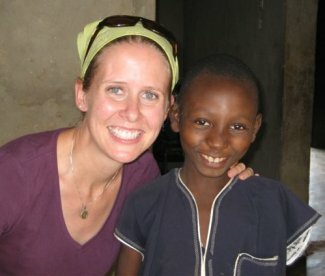 She has been working in Africa for the last 4 years as a nurse in a ministry for street children. These would not necessarily be orphans, though many are. She has had to learn to deal with new illnesses and work around the practices of traditional Nigerian medicine. [I would encourage you that] if God has placed in your heart a desire to go overseas or to be a part of a ministry in the states, that you really take the opportunity. It has nothing to do with how you feel, it has to do with obedience and what the Lord is asking of us. You can read more about Erin at her blog and ministry website.